If you own a property in Claremont, chances are that you have a number of trees that you have to maintain. 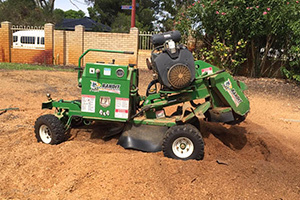 If you don’t have the necessary equipment and knowledge, you may, however, find it challenging to carry out lopping, stump grinding, and tree removal. Property owners who don’t have sufficient means to take care of the trees in their gardens tend to put themselves and their properties in harm’s way when they try to do things like cutting off thick branches. The good news is that if you live in Claremont, you don’t have to postpone or struggle with tree maintenance any longer. Perth Arbor Services provides the best in tree services throughout the area, and we can help you too. Keep reading to learn more about our services and how they can benefit you. Have questions about Tree Lopping Claremont? Trees are highly sophisticated organisms. The different parts of a tree’s anatomy maintain one another to ensure that a tree stays alive and healthy. It is, therefore, critical to know what you are doing when you work with trees, especially if your goal is to keep them alive and healthy. 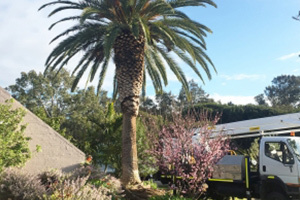 The team at Perth Arbor Services have all the qualifications and experience that are necessary to care for trees in Claremont. We have been active in this area since 2011, and we have all the skills and equipment to help you with any tree-related problem that you may have. 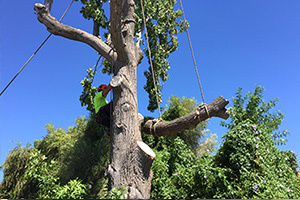 Our most common arbor services in Claremont include tree lopping, removal, and land clearance. Since trees keep growing for the duration of their lives, it can become necessary to lop a tree to prevent it from causing damage. We take great care to lop our clients’ trees correctly to ensure that they have enough leaves and branches to stay alive. 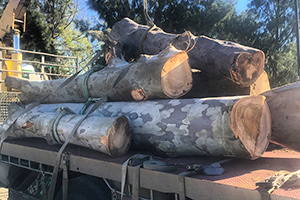 As far as tree removal and land clearance are concerned, Perth Arbor Services works toward preventing damage to the surrounding environment. 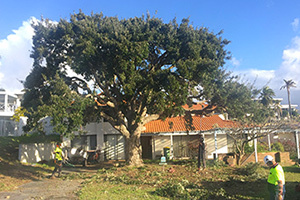 We also remove the trees as quickly as possible to avoid damage or to allow you to start with your building project as soon as possible. If you have a problematic tree on your property, you may be facing a choice between incurring costs to remove the tree or living with the risk of damage to your property. If this is your case, you can contact Perth Arbor Services with a tree risk assessment. We will then come to your property and do an in-depth inspection to determine how likely it is for the tree to do damage to your property or cause personal injury. We will also consider the consequences of such an event. We will then provide you with a professional recommendation. 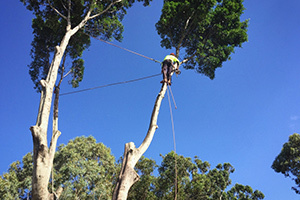 Perth Arbor Services’ team is standing ready to provide you with high-end tree services in Claremont. If you have any issue with trees, palms, or shrubs in your garden, contact us immediately.